Visit Victoria: The spoils of Bendigo putting itself back on the map. Once a sleepy hollow, a pit stop between the panoramic spoils of country Victoria and the Melbourne metropolis, stood a town laced with the success of white settlement and gold prospecting. Bringing lavish architecture and thousands of migrants of truly Victorian era success, Bendigo was thriving. Despite the rush, much like American cities Detroit and Buffalo, Bendigo became caught up in the post-industrial revolution slump and with a depleting industry, locals were forced to find a new way to save their economy, which would take decades. 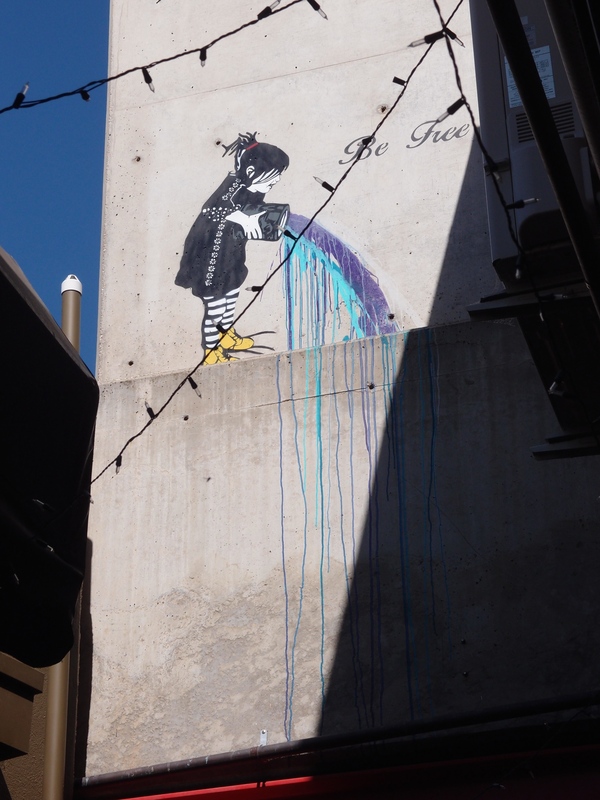 Street art is well celebrated throughout Bendigo – you never know where you’ll find it. This Banksy esq style was found high on a rooftop. Meeting in the heart of Victoria, the Greater City of Bendigo, is once again a thoroughfare of innovation, ideas and prosperity, but this time there is not an ounce of gold to be seen. Collaborating with the local, and now not-so-forgotten Indigenous Jaara people, artistic development is thriving and so too is a Flâneur-like lifestyle; weekend pop up markets, community gardens, the rebirth of the Bendigo Art Gallery and of course, offering some of the best cuisine in the state. Bendigo is back on the map. Just an hour-and-a-half drive from the Melbourne CBD, or an hour-and-fifteen-minute train ride, Bendigo is closer than ever and has rejuvenated as the hottest weekend stop in the state. Warmer than Geelong, closer than Mildura and more vibrant than Lakes Entrance; Bendigo is on top all year round, and it is easy to see why. The towering white box of the Brewhouse Coffee cafe and roastery in the centre of town. Casting a bright and watchful eye over Hargreaves Street in the former home of the Tile Mart factory sits a very large, white box. 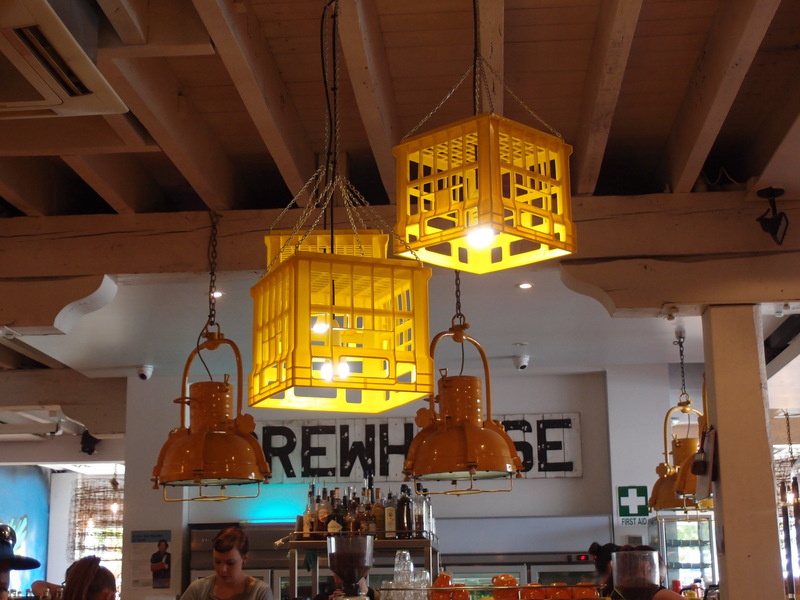 Brewhouse Coffee has become a staple favourite for locals and travellers alike, with an all in one coffee roaster, speciality brewer café and a delectable food menu for all tastes. Inside the clean line, clear-cut, minimalist box lays a very different narrative. Like a story out of a Melbourne hipster chronicle, the mismatch of bric-a-brac carefully and purposefully displayed mixed media collage and practical statement furniture pieces from milk crate and chicken wire light displays to graffiti walls and rustic farm tables and chairs. The menu channels an almost American diner style with a side of British tradition, offering everything from fried eggs with barbeque sauce, Eggs Benedict and Guinness braised lamb shanks to pizza pies, pulled pork and soft shell crab burgers. The coffee is well thought out and offers a sizable store to buy coffee merchandise and local produce served in the café. Brewhouse coffee is a modern mix of flavours with a very purposeful motive. 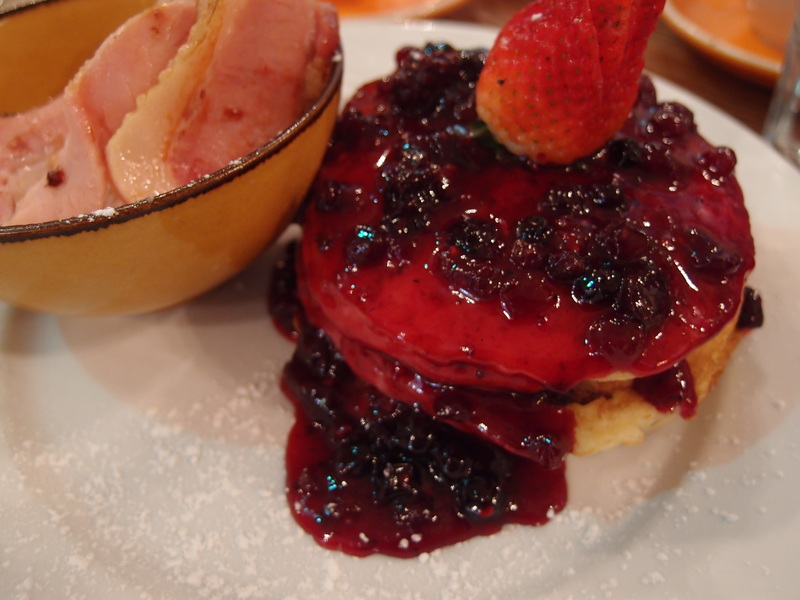 Buttermilk pancakes with berry coolie and a side of crispy bacon. 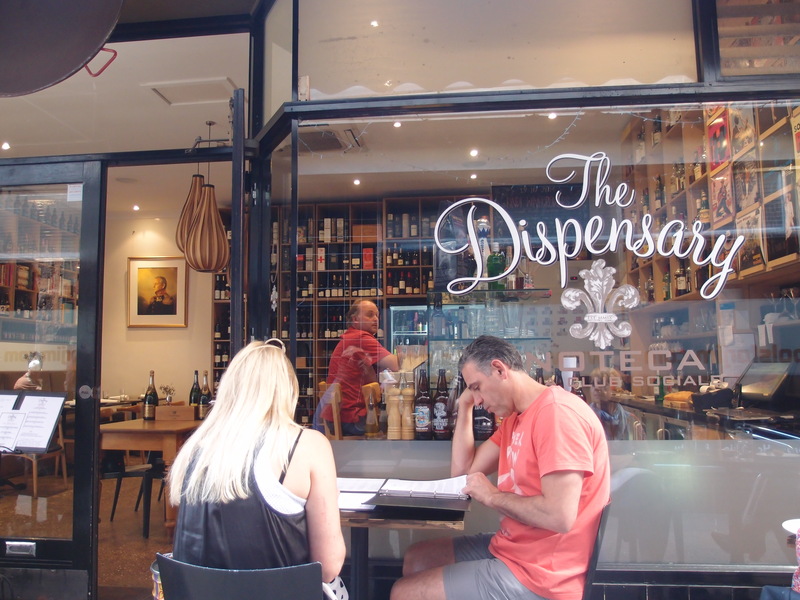 The Dispensary Enoteca on the other hand, is a high-brow and refined French style Alley bistro with a speciality range of spirits and over 200 beers to choose from. Open from 11.30am light lunches and bar snack options are available all day in the Alley seating and indoors in the cosy – in size and style – restaurant. The dinner menu poses a far more refined palate with starter petit fours and entrees of char-grilled quail, parfait, and oysters and a wagyu dominated main course with local duck and fish served with sides. 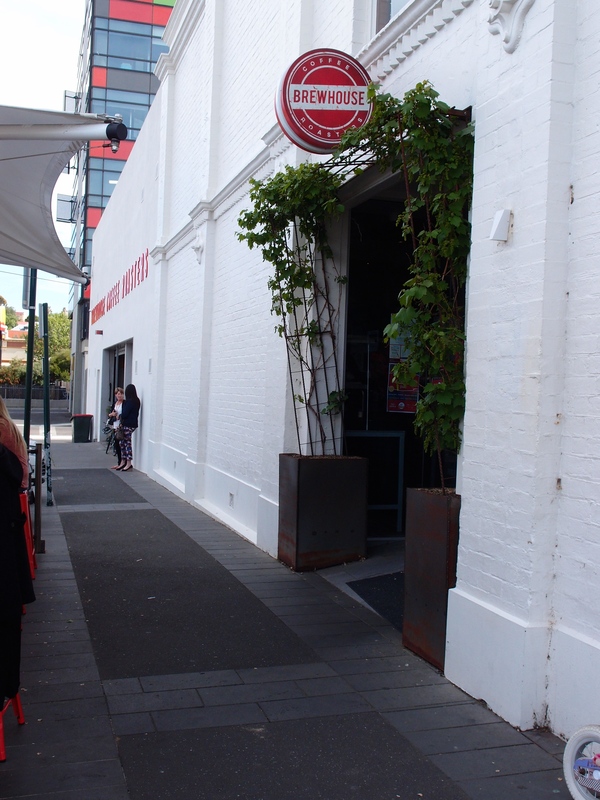 They also run monthly degustation lunches on a Sunday that book our far in advance. The two represent the very different mixes across the Greater Bendigo area; post-modern, hipster and brash up against old school, Victorian Era courtship erring on the modern side of Gatsby. Both share a dynamic level of overlap: the people. Bendigo locals are passionate, whether it be about their art, food, history or love for a now not so small town. And we, as visitors love it.